This list is still under construction as I continue to familiarize myself with some of the more ancient grain's flavors, textures, cooking requirements, and nutrient profiles. During this process I have become increasingly impressed with Bob's Red Mill products. I have found that this company sells the largest variety of imported whole grains. Each bag contains a brief history of the grain which I have come to really appreciate during this journey. These products can generally be found in most grocery stores and seem to be located in the same isle as the flour. You can order their products through their web page if specialty items such as ancient grains are not sold in your area. I started following them on Facebook and really enjoy their recipes. There are plenty of other companies that sell whole grains as well. Nature' s Earthy Choice sells many of the ancient grains. I really like their products because they come in a resealable bag, which ensures that the grain stays fresh and retains its nutrients. Their products are usually found in the same isle as rice and beans. Their web site and Facebook page also offer much needed culinary guidance when learning about new foods. Another great source of information has been the Whole Grain Counsel's web page. They provide informative write-ups about each grain along with cooking suggestions and recipes. I encourage you seek out some of these exotic and foreign grains. They offer a wide range of health benefits that most of us have not taken advantage of including complete protein profiles, high antioxidant activity, varying combinations of bioactive phytochemicals and gluten free options. Not every grain is going to be pleasing to everyone, I personally do not enjoy buckwheat. However, the culinary leanring experience and the possible discovery of a new disease fighting food to include in the diet is worth investing. Amaranth: When uncooked this miniature golden pellet looks like bird seed and has a very distinctive top soil smell. But upon cooking this grain, an entirely new culinary identity is revealed in the form of a earthy flavored caviar like consistency. The mouth-feel of this ancient grain is quite unique. The small amaranth beads can still be detected through the gummy cohesiveness which gives a glutenous like texture. This is deceiving because Amaranth is one of the gluten free grains and can safely be served to individuals with Celiac disease or a gluten sensitivity. Another distinguishing feature of this ancient grain is it's complete protein composition. All nine of the essential amino acids are found in this tiny jewel, which is uncommon in most plant foods. Amaranth is also a high source of magnesium. A mineral which is involved in almost every metabolic reaction. There is evidence to support that a substantial amount of the population does not consume adequate magnesium. Although, this grain was once a major source of nourishment for the people of MesoAmerica and once regarded as the "golden grain of the Gods", Amaranth was nearly forgotten after the fall of the Aztecs. Considering its nutrient profile and distinctive texture it may be time to revive this ancient grain and have it take its rightful place as a major disease fighting staple once again. 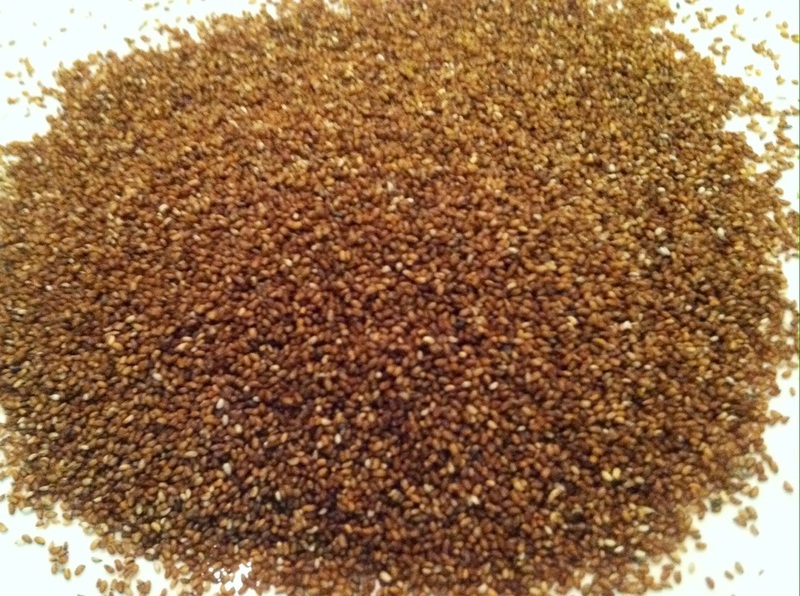 Teff: This is the smallest of the whole grains and has an appearance of red tinted poppy seeds. Until recently teff has not traveled far from its native land of Ethiopia. Despite being gluten free teff takes on an adhesive and gummy texture upon cooking. When teff is allowed to cool the cohesiveness between the tiny grains increase, allowing the grain to hold a shape. This makes it easy to incorporate in to vegetarian loafs and patties. Teff's flavor is relatively neutral and is dependent on other seasonings and aromatics. The mouth-feel of this small grain is similar to amaranth but even more delicate. This small wisp of a grain has the highest calcium concentration of all the grains and is also a great source of fiber, iron and protein. The protein found in teff is thought to be more similar to animal protein and have a higher bioavailability then other plant foods. Teff is both moderately priced and convenient to find in local grocery stores. Incorporating imported grains such as teff is one way to simultaneously learn about other cultures through new culinary experiences and increase disease fighting foods in the diet. Bulgur: This grain is made from wheat berries that have been moderately processed through parboiling, drying and cracking. The resulting product has a light nutty flavor, a soft hearty texture and a frayed rice like appearance Bulgur is most famous as the traditional grain used in tabbouleh, a classic eastern Mediterranean dish. Do to the preprocessing bulgur has one of the quickest cooking times and can be ready in about ten minutes. Bulgur has a higher protein and iron content then both rice and oatmeal. In regards to price, this ancient grain is one of the least expensive when compared to the other imported grains. Bulgur's delicate yet hearty textures allow for much versatility. This grain can easily be used in soups, pilafs, salads or a warm breakfast cereals for a unique and nutritious alternative. When considering these enticing characteristics it may be time to find this convenient and nutrient dense grain replacing some of the more familiar grains. Freekeh: Similar to bulgur, freekeh is also moderately processed through drying, fire roasting and then cracking the bran. 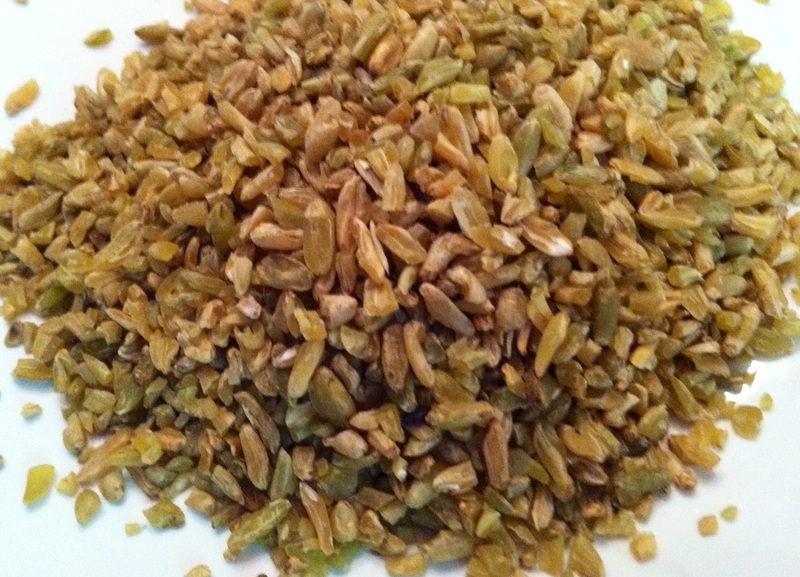 The major difference between the two is freekeh is harvested as a young wheat plant. The resulting product is a grain with a light green hue, a similar aroma to dried green tea leaves and a frayed rice appearance. Its flavor is fresh and light in comparison to the more hearty flavor of bulgur.Because the grain is cultivated as a juvenile the nutrient concentration is considerably higher then many of the ancient grains. Tied with amaranth, Freekeh has the highest protein content of all the grains and contains 70% of the daily value of manganese. This mineral works as an antioxidant in the active site of many protective enzymes that guard the body form free radical damage. Despite all of its enticing characteristics this eastern Mediterranean grain is not as common as other imported grains as of yet. However, its migration is inevitable as people discover and become aware of the health promoting effects and exotic flavor of this old world gem. Millet: This spherical shaped and maize colored biblical grain offers a mildly sweet taste and a distinctive dense texture. 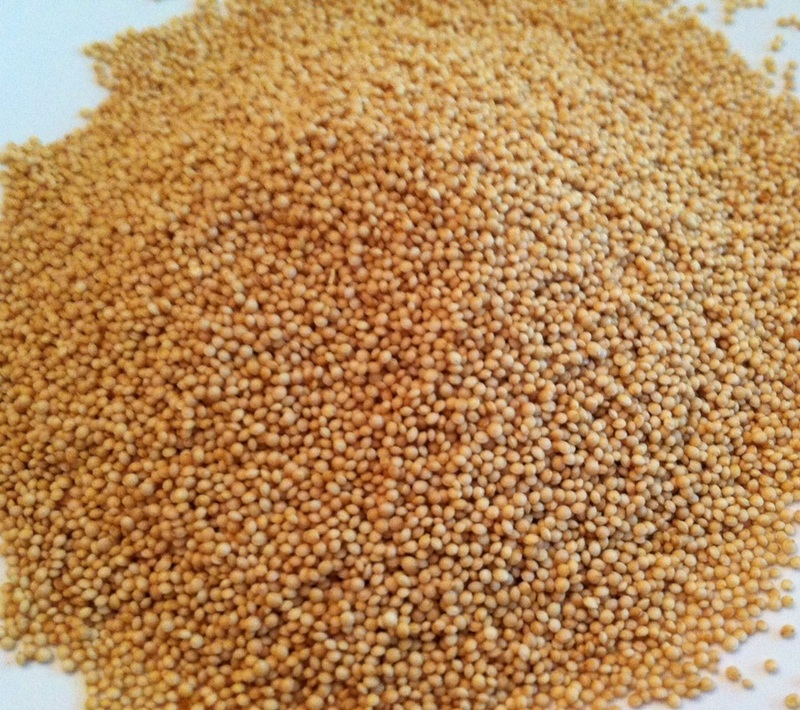 Unlike amaranth and teff, Millet retains the integrity of each cornel if cooked like rice. The constancy is similar to a pilaf with a soft crunch to each bite; where as amaranth and teff provide a more porridge like consistency. 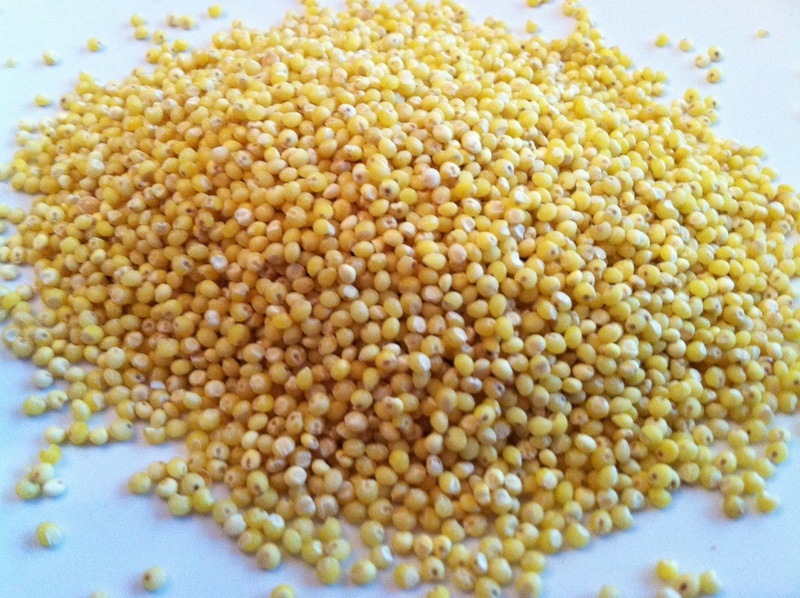 Millet can become very soft and creamy if cooked in a soup. Like amaranth, teff, sorghum, rice and quinoa, millet is also a gluten free option and can be safely served to individuals with Celiac disease and gluten sensitivities. Millet is easily digested and is often used in Asian countries as a weaning food for children and for a softer food alternative for the elderly. With its high antioxidant content this ancient grain becomes increasingly alluring as a substitute for the more traditional modified diet options. Millet can easily replace rice for increased protein, iron, magnesium and zinc intake. Eating a plant based diet requires some strategic meal planning to ensure adequate nutrients are incorporated into the diet. Including grains such as millet can increase the consumption of some of these more elusive nutrients. 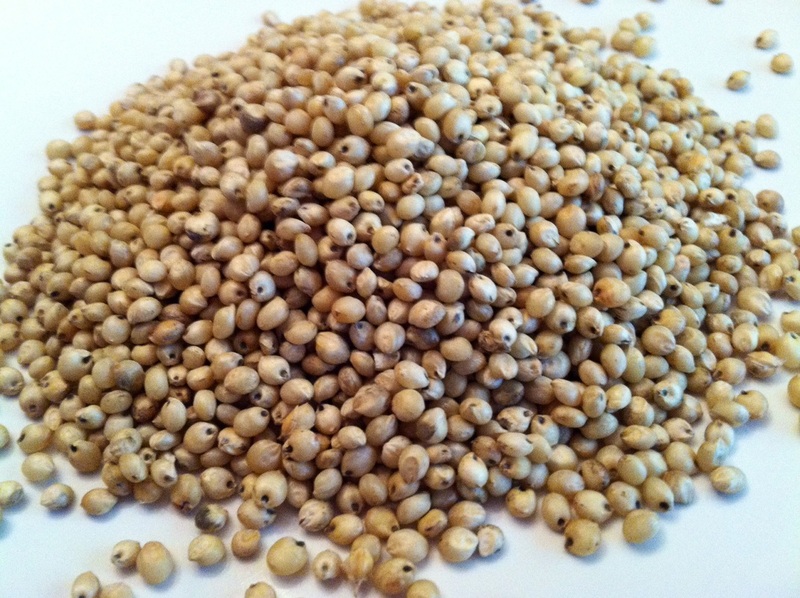 Sorghum: This grain offers another gluten free option for people with Celiac or gluten sensitivities. Originally harvested from Africa, this grain can now be found throughout the Middle East and Asia. In the United States it is most commonly found in a flour form but as the demand for gluten free whole foods increases, so does the availability of this unique grain. Sorghum's cornels are double the size of millet but have a very similar texture. The grain remains intact after cooking and has a springy and chewy constancy. Perhaps a bit more hearty then millet and with a light nutty flavor sorghum is quite palatable. This ancient grain does require a longer cooking time then other whole grain options when being used in pilafs and salads. Alternatively, sorghum can also be popped like popcorn making it a quick and healthy snack. Several studies have identified a high concentration of bioactive phytochemicals that have anticancer activity and lower the risk for diabetes and heart disease. Before popping a bag of traditional popcorn or boiling water for rice, it may be time to consider this ancient grain with a heightened ability to fight disease. Quinoa: The grain that started it all. It was quinoa that has brought attention to the whole grain world and caused an increased interest for other imported grains. It is one of the whole grains that is gluten free and as gluten sensitivities became increasingly recognized so did the demand for alternative carbohydrate choices. The small bead of a grain has been ordained as a new "super food" by modern sensationalism. agricultural practices are being called into question it may be time to consider increasing sustainable and nutrient rich plant foods in the diet. Farro: Of all the ancient grains Farro is the most similar to rice but offers a delightful soft gummy texture and additional nutrient benefits. 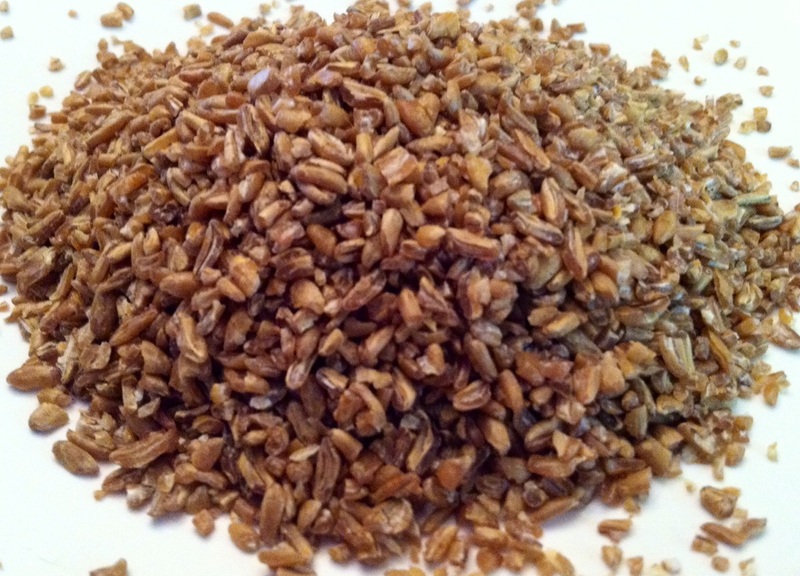 The same serving size of Farro provides more protein, iron and calcium then rice making it an enticing alternative. This grain can be topped with heavy and flavorful sauces without being overpowered, yet with its light nutty flavor is also very palatable alone. The cooking time of farro is relatively short when compared to other ancient grains making it easy to incorporate into a meal. 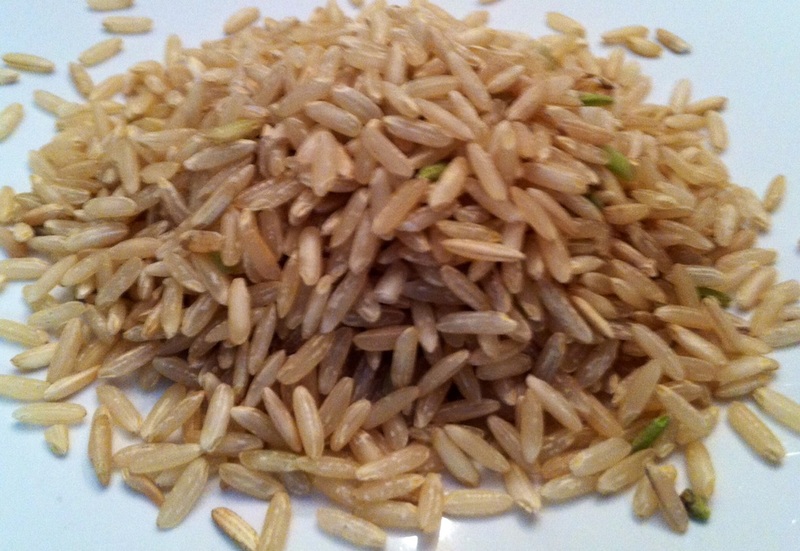 Because of its high starch content, farro can be used as a substitute for Arborio rice when making risotto. And as Farro hails form ancient Rome, Italians can also utilize this grain while still upholding their culinary traditions. Following Quinoa, Farro is generally an easy imported grain to find in local grocery stores. After considering Farro's nutrient content, short cooking time, pleasing flavor and availability it may be time to consider stocking this versatile grain on the pantry shelf. Buckwheat: This grain is most recognizable as the mascot for Ohio State University, the Buckeyes. 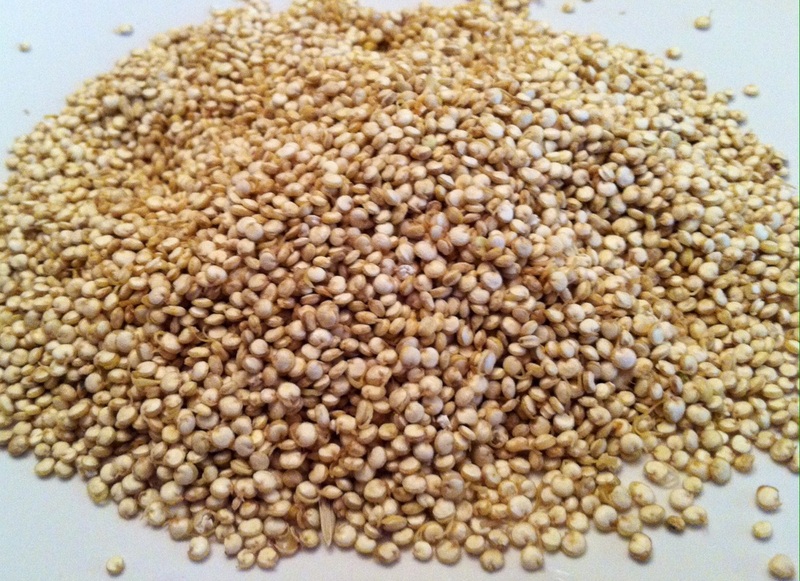 Similar to amaranth and quinoa buckwheat also contains all of the essential amino acids making it a complete protein. This grain can be commonly found in all four corners of world but is thought to have originated in what is now known as Greece and Italy. Despite its name, buckwheat is not classified as a wheat as it is one of the few gluten free whole grains. Buckwheat has a unique pyramid shape with a distinctive hearty. 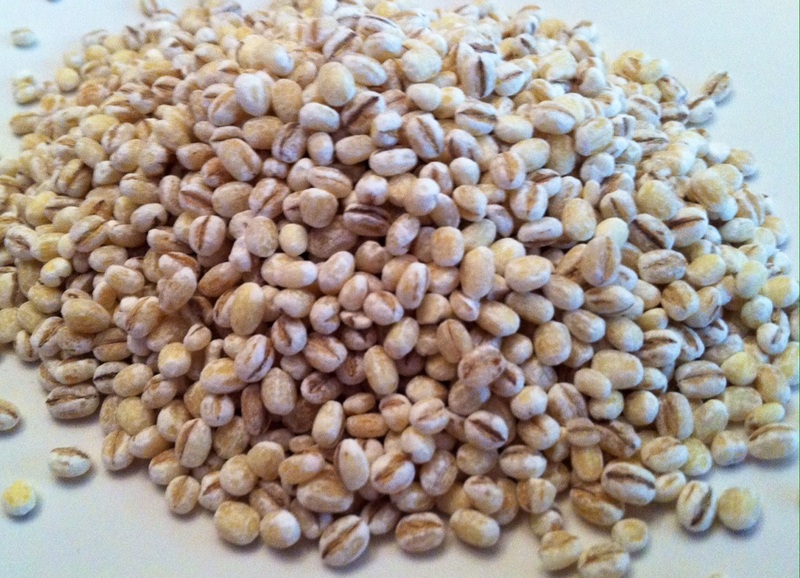 Kamut: This ancient grain appears most similar to rice but with much larger cornels. The texture of Kamut is more firm then other grains as the external bran retains its springy protective coat after cooking similar to sorghum. Because of this Kamut requires more chewing effort and may not be desirable for people with chewing difficulties. 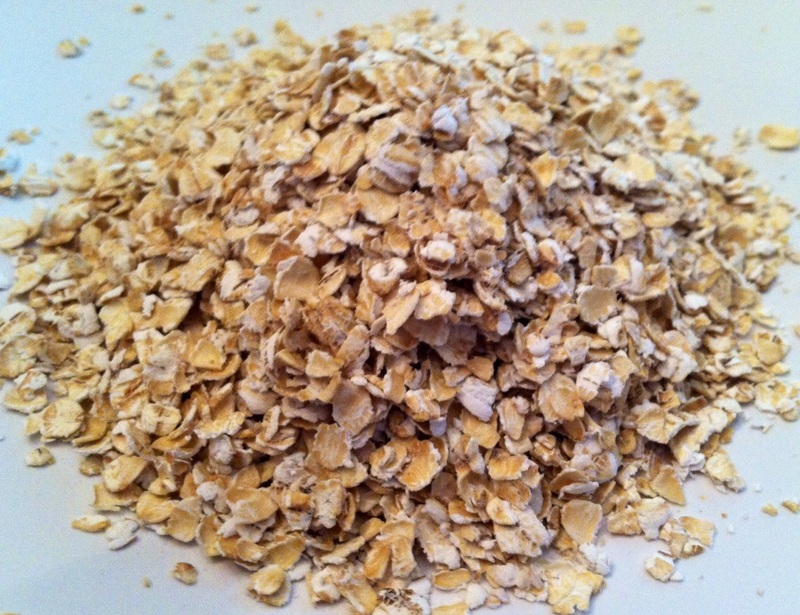 The flavor of Kamut is soft and nutty with a airy interior. Although not as popular as other imported grains such as quinoa, Kamut is relatively easy to find in the local grocery store. Another unique feature of this grain is that it is trademarked and is an heirloom. This means that it has not been crossed with other grain species which is uncommon for grains in the wheat family. Kamut is thought to have been a forgotten crop when it was rediscovered in an Egyptian pharaoh's tomb. Now the grain is literally rising from the dead as it increases in popularity as a rice alternative in pilafs, salads, and soups. With a higher protein, fiber, iron, zinc and manganese content Kamut is an attractive replacement. Kamut just may be the healthiest archeological discovery and it may be time for more people to unearth this grain that was secretly preserved for centuries. 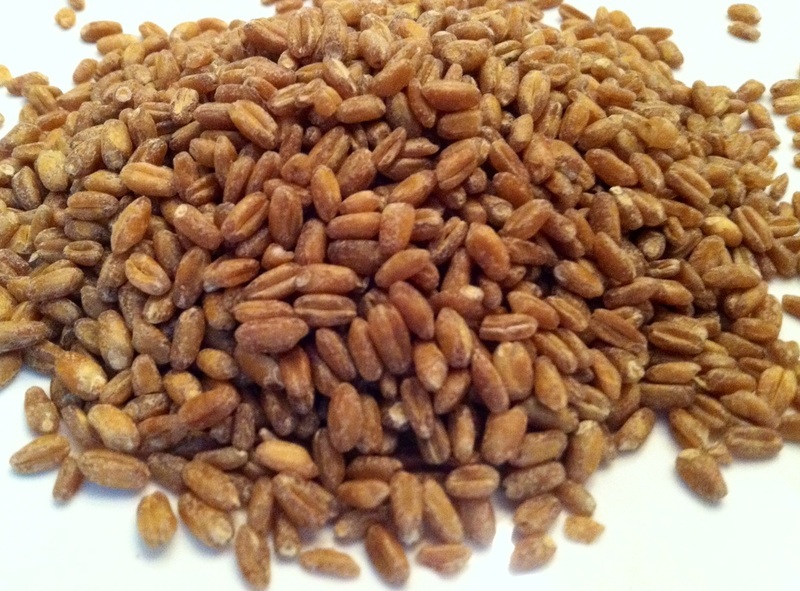 Wheat Berries: Possibly the highest consumed whole grain and yet it still remains very unfamiliar to most. A large percentage of individuals have driven by a wheat field or even more likely eat wheat containing products. Ironically though, the majority of people have never heard of or seen an actual wheat berry. The wheat berry is the whole grain that is used to make all of those familiar processed products that are so customary. This grain is also at the center of the gluten debate, as it has the highest percentage of the controversial protein. Despites its contentious relationship with processed foods and gut inflammation, in its whole form, wheat does have a place alongside the other health promoting grains. 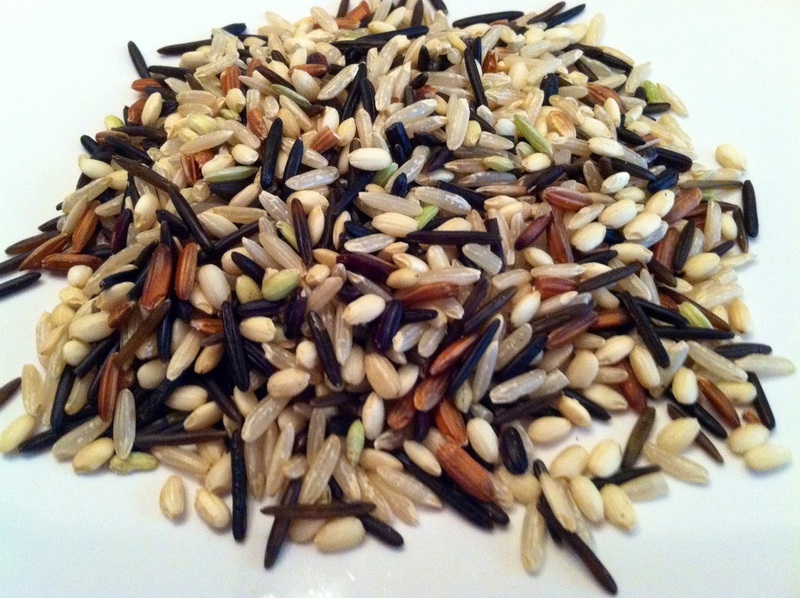 High in fiber, phytochemicals and other minerals this traditional grain is quite nutrient dense. 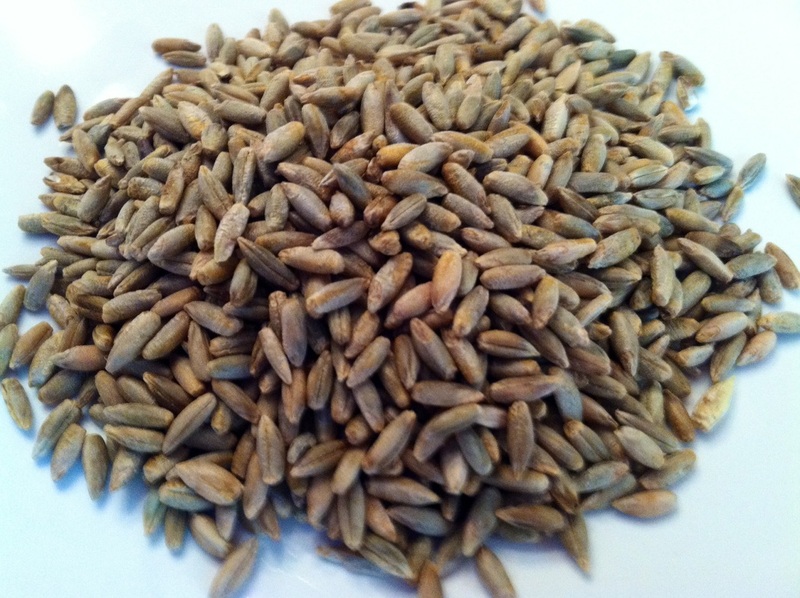 Wheat berries are similar to farro with a soft nutty flavor and a light chewy texture but with a heartier essence. Wheat berries are generally easy to find in the local grocery store and have a short cooking time, making them a convenient option. They are an easy replacement for rice in pilafs, soups or salads.